At Morgan Chaney, we have a large variety of bag types to choose from, all with custom printing options. 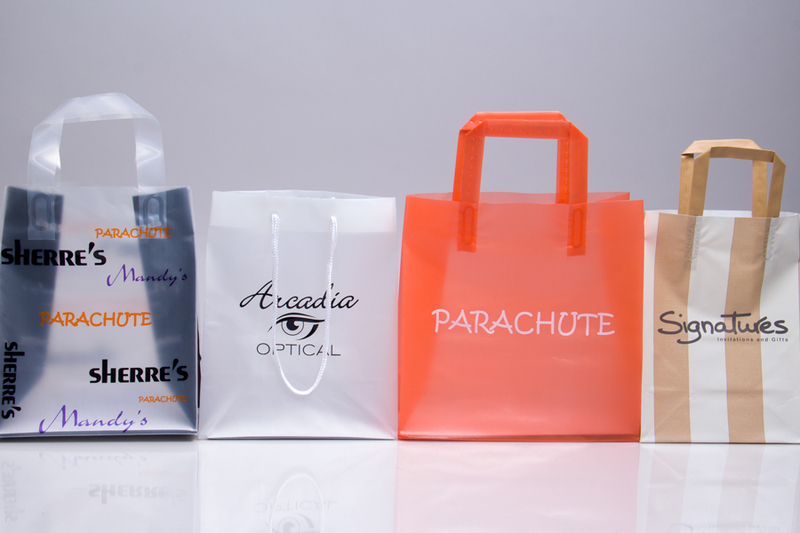 Whether the bags are made from paper, plastics or fabrics, we can supply your business with the exact type of custom printed shopping bag you are looking for. 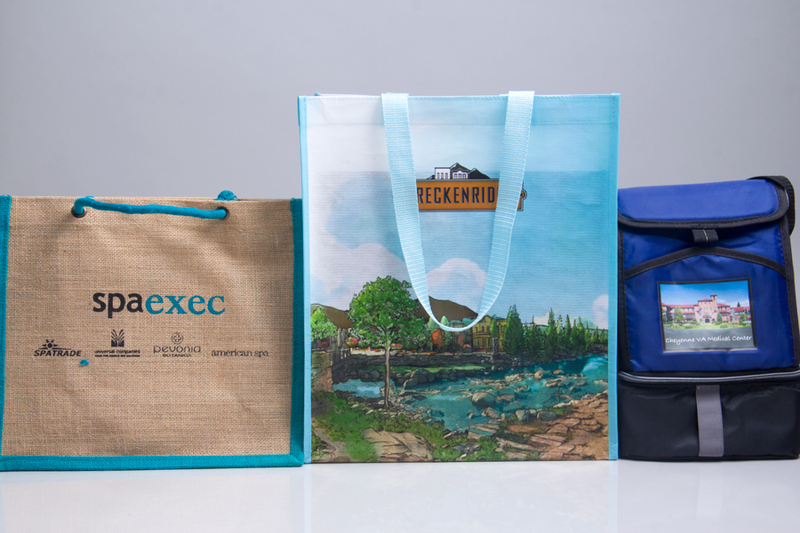 Custom printed bags are one of the best ways to promote and market your business. By custom printing your shopping bags and take-out bags, you allow your customers to spread the word about your business naturally. Every time a customer leaves your store or restaurant with a custom printed bag, they are marketing your business organically. Promote your business even further by providing reusable packaging to your customers. Paper or plastic packaging can be considered reusable when it is made with durable high-quality materials. Alternatively, we offer custom printed fabric tote bags that are ultra-durable for reusability. Morgan Chaney can provide your business with any type of bags you need in any price range. From inexpensive plastic bags to luxurious paper eurototes and everything in between. Custom print your bags with your logo or graphic design using a variety of advanced printing methods. 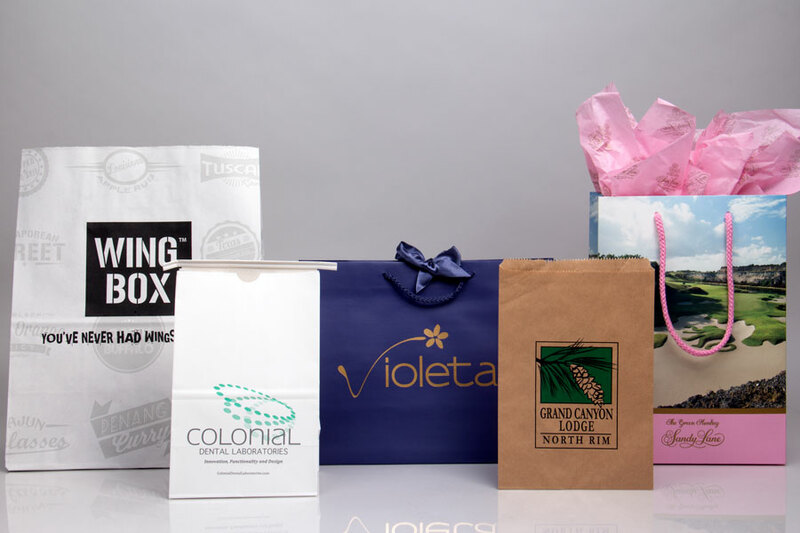 Providing gift bags to your customers is another great way to improve customer satisfaction. When your bags can be gifted for holidays and special occasions, you save your customers from the added hassle of purchasing packaging elsewhere. Gift packaging can be custom designed and branded for your business to make a stunning impression on gift recipients. Popular gift bag options include paper or plastic eurotote bags, reusable tote bags, and pouches or garment bags made from elegant materials. If you have a jewelry or luxury retail shop, designing custom reusable gift packaging can help establish your brand image as a high-quality provider of gifts. Each option at your disposal is custom printed in such a way as to promote your business in a stylish and effective fashion. Morgan Chaney is known for its custom printed packaging expertise and our ability to provide custom packaging in an earth friendly manner using recycled materials wherever possible. Learn more about our wholesale, promotional custom printed bags today! At Morgan Chaney, we believe that the environmental impact of packaging is of the utmost importance. To support businesses who want to use and promote eco-friendly custom packaging, we offer a range of packaging options that are less harmful to the environment. If you're in the market for custom recycled bags or other products that will make the way you do business more environmentally conscious, we can help! Custom recycled bags are a large part of our green packaging efforts. Both our paper bags and plastic bags can be manufactured with recycled materials up to 100%. In addition to these recycled products we also offer custom reusable bags and biodegradable packaging products. Plastic bags can also be manufactured with additives that make them more biodegradable. Our recycled packaging options contain at least one of two types of recycled materials: Post-consumer recycled material or post-industrial recycled material. Post-consumer recycled material is any material that was used and discarded by a consumer or business and captured before going to a landfill. This material is then recycled for use into a new product. Post-industrial recycled material is excess, scrap, or trim material that has been recovered by a factory during and after the manufacturing process but did not enter into the consumer stream. Paper and plastic bags made with recycled materials do not suffer a loss in quality over virgin materials, these bags are ideal for custom printing and have a durable construction. Your customers will be pleased with the quality of your packaging and support your business’s commitment to being environmentally friendly. Many of our custom paper shopping bag options are made with recycled materials and are fully recyclable and even compostable. Among our reusable bag options we offer tote and fabric bags made from organic cotton, canvas, non-woven and woven polypropylene and even recycled P.E.T. (recycled water bottles). There are many material options for reusable bags that can create a lasting product that consumers can reuse indefinitely, ultimately lessening packaging waste. If you're in the market for custom printed eco-friendly bags that will serve a dual purpose for your business, you have come to the right place. We support your decision to brand your company with custom printed bags and encourage you to save the earth at the same time. Together, we can leave a green footprint on this earth, one custom printed eco-friendly bag at a time!